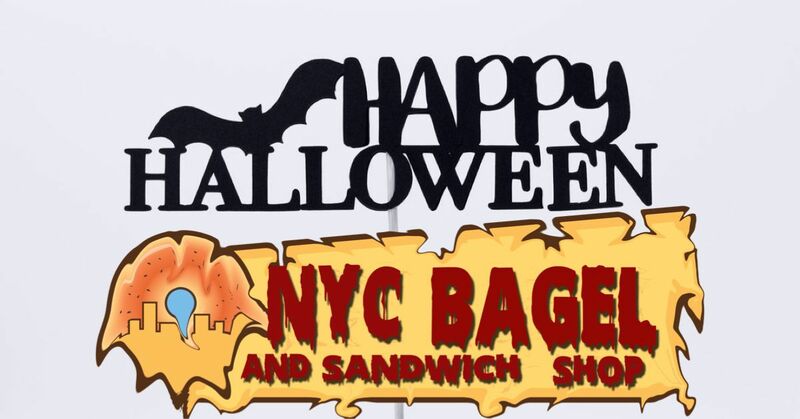 NYC Bagel & Sandwich Shop Celebrates Halloween! What’s New This Halloween with the NYC Bagel Franchise? (RestaurantNews.com) The NYC Bagel and Sandwich Shop Franchise is celebrating this National Holiday in ALL of their locations with the ALL NEW HALLOWEEN BAGEL! You can choose this black and orange bagel with any of your favorite cram cheeses or one of the many lunch sandwich options! This bagel can be enjoyed in the many locations across the US.